HomeArtsImages Festival Still Camera Ready After 30 Years! Images Festival Still Camera Ready After 30 Years! 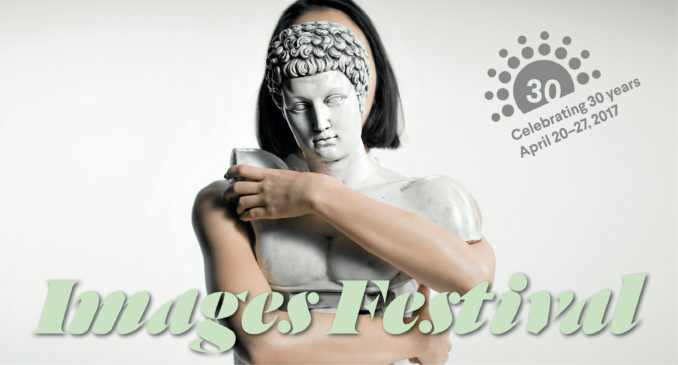 Images Festival is celebrating 30 years Toronto! Boundary pushing and exploratory Images Festival runs Thursday, April 20 to Thursday, April 27 – the fest offers a week of experimental and contemporary film and video screenings, performances, talks, walking tours, and gallery exhibitions at various locations all over Toronto. Top talent includes Canadian artist Deirdre Logue, and from Britain, International artist Isaac Julien. 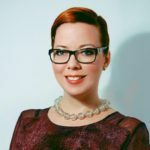 This year the Canadian Artist Spotlight is on media arts scenester, Toronto’s Deirdre Logue. Logue’s longstanding commitment to the arts will be honoured with three gallery exhibitions (A Space Gallery, Gallery 44, Tangled Art Gallery), as well as a book launch celebrating Logue’s entire body of work. Logue’s April 22 performance will explore issues connected with much of her career work including: anxiety and control, repetition, queerness, feminisms, soft butch visibility, resistance, and vulnerability. Images Festival welcomes London, UK-based International artist Isaac Julien with a retrospective of his earliest works Who Killed Colin Roach? (1983) and Territories (1984). As one of Britain’s top contemporary artists, Julien’s early works are fiercely vocal against police brutality towards British Black bodies. 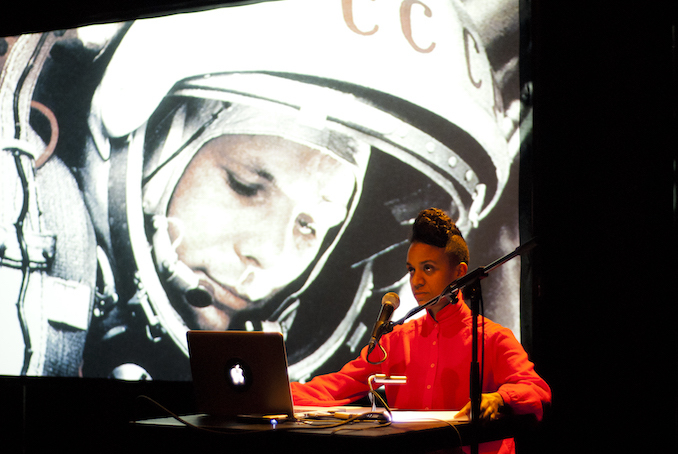 Not to be missed is the Images Festival April 21 performance by Paris-based Kapwani Kiwanga called AFROGALACTICA. Kiwanga to deliver a history of the future in the role of a fictional anthropologist. This live video performance and reading has Kiwanga investigating Afrofuturism as a means to examine the past from an African or African diasporic subjectivity. The 2017 Canadian Artist Spotlight will also feature new works by Rita McKeough, Steve Reinke, Eleanor King, Adrienne Crossman, Serena Lee, Cait McKinney, Midi Onodera, and Erika DeFreitas. For the full program of screenings, performances, talks, exhibitions, etc., please visit the Images Festival event schedule. Advance tickets are now available. Screenings $12, with discounts available for students, seniors and the underemployed. FYI off-screen public programming is free e.g., talks, walking tours, gallery exhibitions. The online program’s individual event pages will indicate if a ticket is required or not. Thursday, April 20, 10:30 PM at Niagara Custom Lab. $10 at the door or FREE with Tales of Two Who Dreamt ticket stub/Festival Pass. BTW! The closing night party is free! Established in 1987, the Images Festival is the largest festival in North America for experimental and independent moving image culture. Check out their Website.